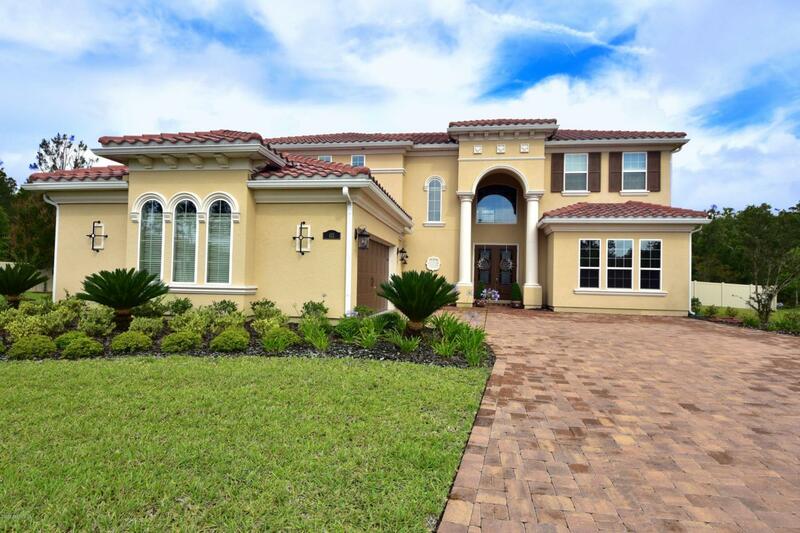 Looking for a ''Field of Dreams'' sized estate lot in prestigious Palencia? You have found it! Welcome home to this gorgeous, practically new Mediterranean style house with thousands in upgrades on an exclusive enclave street. This truly huge, very private yard is ready for your growing family. Enter to soaring cathedral ceilings, gleaming kitchen, wood tile flooring, master retreat down with his/hers closets, and custom screened lanai entertaining space. Privacy fence surrounds your extremely secluded yard that backs to preserve. With over 30 parks, ''A'' rated schools, 9hole putt putt, two pools, gym with complimentary childcare, sustaining golf membership, you cant go wrong with this home!! This lot is not available, nor can you build new for this price! 3 car custom garage!